St Joseph’s Convent in Jerusalem/Hiruharama is being proposed for a registration upgrade to a Category I historic place by the New Zealand Historic Places Trust (NZHPT). Together with St Joseph’s Church the site, 64km from Whanganui, is widely regarded for its idyllic setting in the landscape, as well as being a visitor destination with a rich social and religious history. The convent was built in 1892 as the base for the order of the Sisters of Compassion, which was founded at the site that same year by Mother Mary Joseph (Suzanne) Aubert (1835–1926) to care for Maori and the poor. The convent was built near St Joseph’s Church (Category I) to house the Sisters and serve as a base for their missionary work. Jerusalem is well known for poet James K Baxter’s time there between 1969-72 where he established an alternative community featuring a blend of Maoritanga and Catholicism. When Baxter died in 1972 he was buried at Jerusalem. Today St Joseph’s Convent remains an integral part of the community. From its inception, the convent operated as the local school within the Native School System, as well as housing the Sisters and orphaned or destitute children. As a dispensary for Mother Aubert’s medicinal remedies, a Post Office agency, and holder of the local Births, Deaths and Marriages Register, the convent was a main focal point of social activity at Jerusalem and for the wider area over many decades. In the 1970s the convent was adapted for use as a retreat or for weekend visits. Today, the village public library is located there. NZHPT researcher, Vivienne Morrell said the social, cultural, historical and architectural significance of the convent and wider site were important factors as the NZHPT reviewed its previous Category II listing. “In the early 1880s, partly due to the request of local hapu Ngati Hau to have their own priest, the site of Jerusalem was chosen by the Catholic Church as the spearhead of a rejuvenated Maori mission. The earlier mission had been established in the 1850s but was abandoned after the battle of Moutua in 1864. In the mid-2000s both the church and convent were renovated following a conservation plan by conservation architect Chris Cochran. The public are invited to make written submissions on the registration proposal by 3 April. A copy of the registration report is available at www.historic.org.nz. Registration is the inclusion on the NZHPT Register of a place or area that is considered part of New Zealand’s historical and cultural heritage. Places may be included on the Register if they possess aesthetic, archaeological, architectural, cultural, historic, scientific, social, spiritual, technological or traditional values. Under the Historic Places Act (1993), places registered may be accorded a ranking of Category I or II status. The NZHPT also registers wahi tapu and wahi tapu areas. Registration does not provide any direct protection to historic places or wahi tapu. Protection comes about when local authorities decide to protect their local historic places by scheduling them in their district plans under the Resource Management Act 1991. In this case resource consent is often required from the Council concerned to modify any scheduled place. About 90 percent of places on the Register are also scheduled in District Plans. NZHPT is a Crown Entity and receives most of its funding from Government. It also has a large public membership. We aim to ensure New Zealand’s historic heritage is identified and protected in order to provide present and future generations of New Zealanders with a sense of place and belonging. 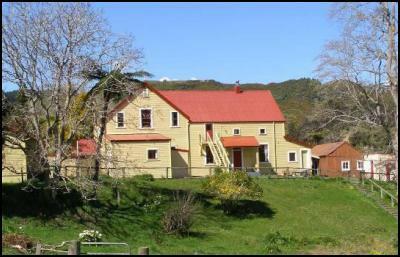 We work in co-operation with owners of historic places, developers, local authorities, communities, iwi, hapu and government agencies. Our responsibilities under the Historic Places Act 1993 include: •	Regulating the modification of archaeological sites •	Maintaining the national Register of historic places and wahi tapu •	Working closely with local authorities and property owners to explore options for sympathetic adaptation of historic places and reusing them in place of demolition •	Providing specialist advice on the conservation of Maori heritage •	Managing a portfolio of 48 nationally significant heritage properties •	Advocating for the protection of significant heritage places through submissions on planning documents and resource consents •	Running heritage education, training and promotion programmes •	Administering the National Heritage Preservation Incentive Fund, and •	Assessing and making recommendations for conservation of historic heritage prior to disposal of Crown land.